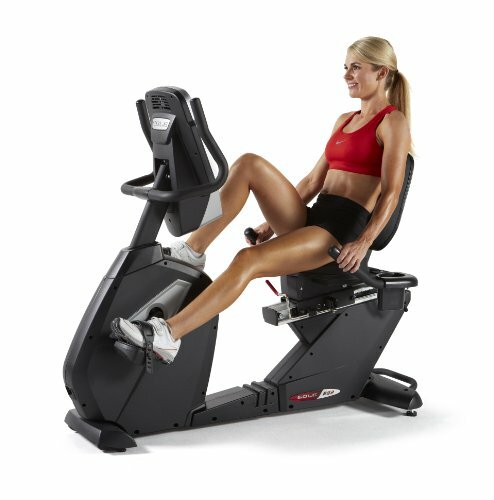 Are you searching for an ideal recumbent bike for carrying out physical workouts? Well, you are doing the right thing. However, you need to choose an appropriate recumbent exercising bike which can suffice your requirement and at the same time adequately fit within your budget estimate. The Sole Fitness R92 Recumbent Bike is one such model which has gained consumer attention in the recent times. The absence of a bulky flywheel casing the way gives the user the advantage of getting a comfortable seat position. Apart from that, the seats are placed in a slightly inclined manner which helps out to reduce the pressure on the joints and proves to be an additional support as well. The foot pedal has been positioned in patented two-degree inward slant which prevents the knee feet pain and also helps to correct the posture of the body. The presence of steel tubing as well as the aluminium shroud offers a robust durability to these popular bikes. It also makes them light weighted and manageable. The wheels are provided at the bottom which makes the transportation quite easy. Who Is an Ideal Customer for This Recumbent Bike? Precisely anybody can buy it; who is looking for or going through a rehabilitation process after suffering an injury. Other than that if you are looking to shed some extra kilos and also burn the accumulated fat then this exercising bike will be of great help. It even offers a couple of options for bettering your overall cycling performance and the display buttons help in monitoring your results much closely. In fact, you can tilt the console to view the screen more clearly. The manual program offers you the facility of just sitting on the seat and start cycling the bike. The process is same to riding a bicycle. You just need to enter a few personal details and adjust the resistance electronically. In this programming option you get everything that is needed to control your heart rate. It comes with a wireless chest strap transmitter which is in-built. It has mainly five sets of programs that include hill, fat burn, cardio, strength, and interval etc. All provide you specific fitness goals. To achieve the most comfort in a workout, low impact is extremely important when considering exercise equipment. Users with foot or joint issues will love our R92.